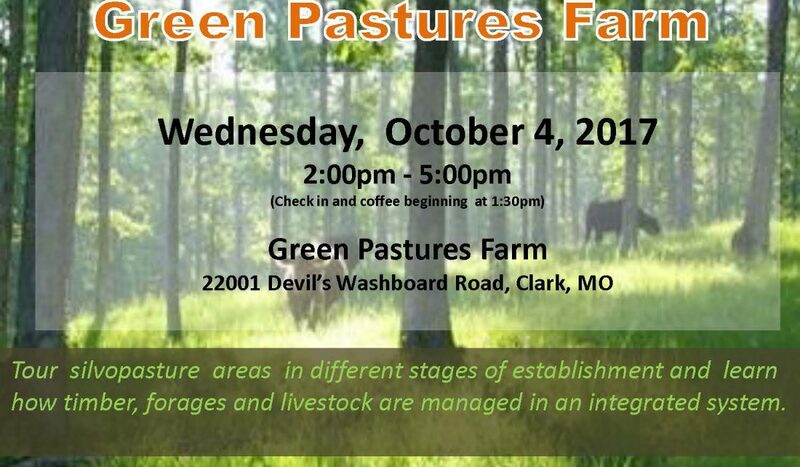 What: Tour silvopasture areas in different stages of establishment and learn how timber, forages and livestock are managed in an integrated system. Please register in advance using this form. Cost for participation is $5.00. For more information, please contact Gregory O. Mori by phone at (573) 882-9866 or email ormsbyg@missouri.edu.